Really, how did a seriously senile and often batty Nancy Pelosi ascend to the House Speakership…again? The Black Nobility, that’s how! California Representative Nancy Pelosi was recently reinstalled as House Speaker by her Deep State masters to eventually become the first female president of the United States. She has been groomed from the beginning of her political career to be the quintessential court jester of American politics. Everyone knows the jester just like they know the town fool. They will do or say just about anything, no matter how foolish, as a means of getting everyone to underestimate them. KEY POINT: That’s not to say that Nancy Pelosi wasn’t purposefully selected for this pivotal role because of her old age, increasing mental deficits and temperamental nature. These specific characteristics are then taken advantage of by her Deep State handlers to advance the New World Order agenda to undermine the American Republic. In other words, Pelosi is a super-medicated globalist whose prescription drugs literally keep her on the NWO reservation. Don’t be fooled by the crafty Pelosi. Italian names that end in “i” are often the namesakes of those whose ancestry is Northern Italy. The major cities of this region of the Italian peninsula — Venice, Genoa, Milan, Turin, Florence and Bologna — are where the world’s first corporations were formed in the late 13th century. Venice and Genoa are also where the Black Nobility established the first banking houses that effectively ruled the world for centuries…right up until today. KEY POINT: Real power never changes hands. It appears to, but it never really does. What does change is the location and the family and the milieu, but the true source of authentic power stays the same. Of course, the British took this demonic concept to a whole new level with the incorporation of the notorious British East India Company in 1600. That happened because the Black Nobility chose London to be their new banking headquarters when they quite deliberately decided to use the English language to colonize the then-known world. KEY POINT: Many explosive exposés have been written about the British control of and subterfuge against the US government and it’s all entirely true. The Financial District in the City of London was essentially set up by the Black Nobility thereby making the Crown Temple their UK-based high command. The London banksters are merely the latest and most powerful incarnation of the Black Nobility banking houses. This is how The British Crown, Privy Council and ‘City of London’ Effectively Rule America. And why CROWNGATE IS THE GREATEST CRIMINAL CONSPIRACY IN U.S. HISTORY. With this critical knowledge it should be easy to understand that the Black Nobility was the ultimate successor of the Babylonian Brotherhood of ancient Middle East. And, that the successors of the Black Nobility are the Illuminati bankster families of not only London and Paris, but also Frankfurt and Munich, Zurich and Luxembourg City, New York City and San Francisco*. *San Francisco is also home to Wells Fargo, Charles Schwab Corp. as it was to the Bank of America. The Rothschilds and Rockefellers are just two of the banking family institutions that are actually fronts for the Black Nobility families which much prefer to stay completely hidden from view. The Morgans and Mellons are two other American front banking families. Nancy Pelosi was born in Baltimore’s Little Italy. 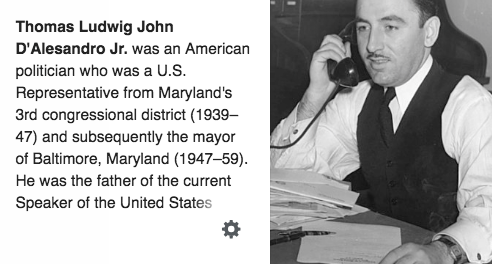 That her father, mother and brother were all-powerful politicos in the Baltimore area was no accident of fate. They were put there with purposeful design by their Black Nobility sponsors. And they may not even know who they were. There are very few unplanned events in American political life. Or else how does a mentally challenged Italian-American Catholic woman become the first female Speaker of the House—TWICE! Such pivotal power plays can only happen by strings being pulled by puppeteers at the very top of the global food chain—the Black Nobility. 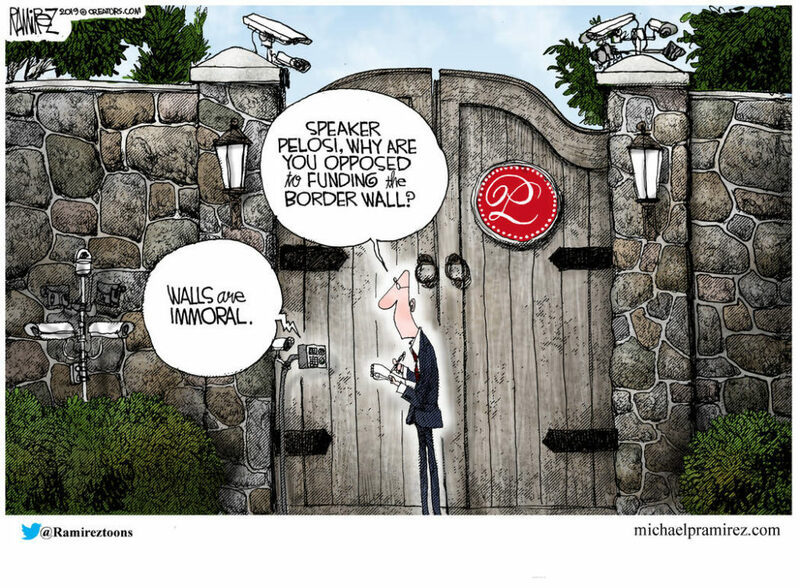 Really, how else does a thoroughly corrupt and dementia-afflicted 78-year-old ultra-liberal Democrat become Speaker—two times in a decade?!?! Her babbling and stumbling political performances ought to have disqualified her from holding public office—PERIOD; and yet she is instead promoted to the third most powerful position in American government. KEY POINT: Many political scientists and historians have pointed out over the years that the Speaker of the House is actually the most powerful position in the U.S. Federal Government since that position effectively controls the public purse. In this way, even the POTUS and U.S. Attorney General can be defunded and practically put out of business. 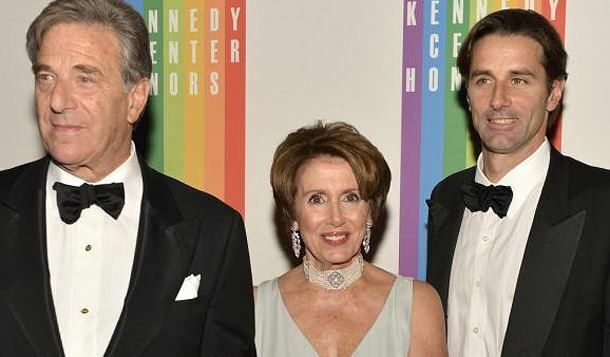 More than any other year, 2018 showed the raw power that the Pelosi clan possesses. How she secured her election — with so many haters here, there and everywhere — is a study in the politics of blackmail and bribery, extortion and coercion. Well, who does that sound like? For the past two millennia two of the most powerful organizations on the planet have been the Roman Catholic Church … … … and the MAFIA. And both stand solidly behind Pelosi, as they stood squarely behind the D’Alesandro political family in Baltimore. Quite shockingly, even her own daughter has provided anecdotal evidence to the tactics that Nancy employs that are startlingly similar to the Mob. Very few are aware but when Italians immigrated to America during the last century, many became captive to the big Mafia families once they arrived stateside (not all of them but a good number who were desperate to eke out a living). Eventually many of these freedom-seeking immigrants fell into one of two camps—they joined the Mafia clans that dominated the region of Italy from which they came. Or, they associated with the white-collar Mafia that was established in the USA. The latter group was populated by politicians, attorneys, accountants, developers and other businessmen. HISTORY: The MAFIA has reigned supreme wherever it chose to set up shop in America and beyond. The much more recent Sicilian mafia was actually a latecomer to the terrorism game and was modeled after the original MAFIA families of Northern Italy that were formed to terrorize their enemies in order for the powerful banking families to maintain their ascendancy. 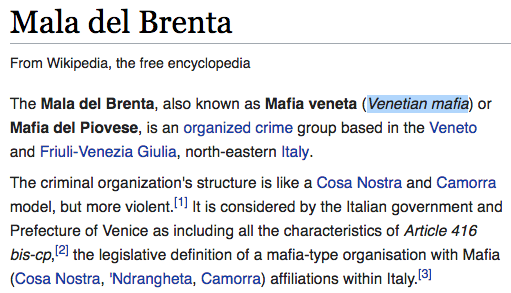 The Venetian Mafia — the Mala del Brenta — was in fact one of the first to highly organize, although their Wikipedia page conveniently does not leave that impression. The “MAFIA-like brotherhoods” throughout the Middle East, that formed before those in Northern Italy, were the original terrorist groups which have operated over millennia. The Northern Italian banksters simply perfected the art of terrorism since they had the money to do so. After all, taking down the Twin Towers right into their own footprint took a big chunk of change (Yes, we know Israeli-Saudi connection, but they were merely the hitmen and bagmen, respectively, for the all-powerful Black Nobility). KEY POINT: The Italian Mafia and the Khazarian Mafia have always been joined at the hip. The Italian bankers of the Black Nobility were primarily Jewish; however, there was a lot of intermarriage with the indigenous Catholic noblemen. These purely political marriages of convenience took place regularly to establish a covert culture whereby the court Jews could thrive under the radar, which they did particularly in Rome and in the wealthy northern enclaves. 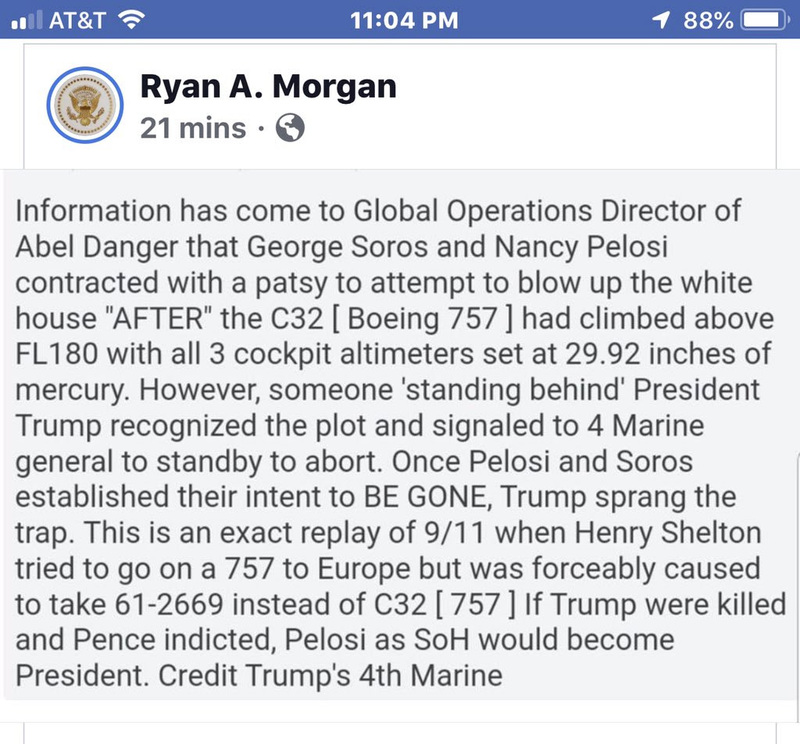 The important point here is that Pelosi represents a brazen attempt by the Black Nobility to openly seize control of the military arm of the New World Order, also known as the USA. See The USA: Military Arm Of The New World Order. This observation should be qualified in that Pelosi clearly represents the communist side of the New World Order globalist cabal, which only exists due to the limitless funding of the Black Nobility by Rothschild bagmen such as George Soros. There is likewise a fascist side of the same Black Nobility clandestine society, which has also existed since its very inception. The stark reality is that money controls the flow of terrorism across the planet and that money is issued by the Black Nobility, just as the operational side of state-sponsored terrorism is executed by Operation Gladio. As an ostensible creation of NATO — the “North Atlantic Terrorist Organization” — Gladio was initially set up to terrorize Europe post World War II…and terrorize it has done although their operations soon went global. 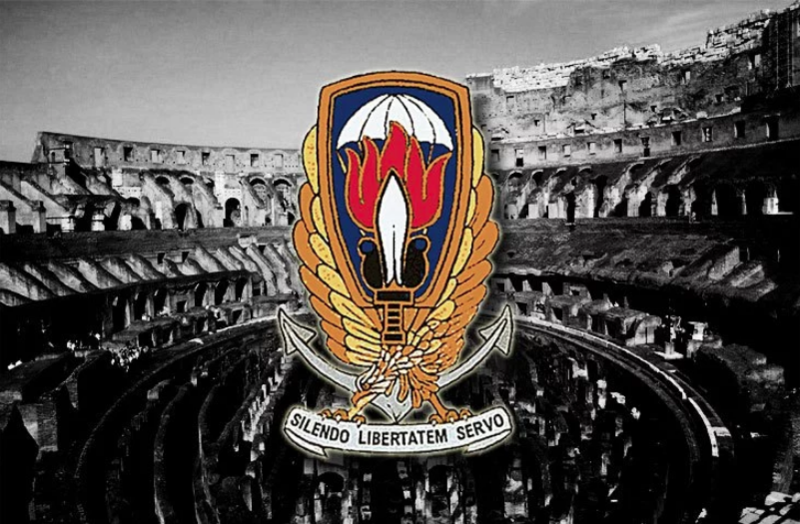 Gladio is derived from gladius–the primary sword of ancient Roman foot soldiers that were also used by the gladiators. This very same NATO-directed “strategy of tension” was then exported to the U.S. Department of Defense where it was actually codified by Obama when he signed the NDAA legislation in 2015 prior to the execution of the Jade Helm black operation A lot of other bad things happened during the Obama years that distinguished the corrupt woman perps for their unparalleled lawlessness and criminality (e.g. Hillary Clinton, Valerie Jarrett, Samantha Power, Susan Rice, Loretta Lynch, Sally Yates, Janet Napolitano, Cheryl Mills, etc.). Both Hillary Clinton and Nancy Pelosi were identified as female front-women for the New World Order agenda during that dark period. The NWO decision-makers at the very top chose to sell globalism using other female leaders as well; in Europe, Angela Merkel, Theresa May and Christine Lagarde were the pitchwomen. Just look at how swiftly Merkel singlehandedly destroyed Germany before she devastated the European Union. But Frau Merkel could only have accomplished this feat with Gladio working for her full-time while the Black Nobility filled her coffers. There’s no question that Maryland was the state the Roman Catholic Church essentially took over as soon as it was identified as the only safe haven for Catholics in the 13 colonies. Baltimore, in particular, was the hub of Catholic activity in the beginning days of Maryland. This is where the D’Alesandro family set up shop — Baltimore, Maryland — so that daughter Nancy could be groomed for high office. In point of fact, her otherwise improbable ascension within the House is a clear indication that the Black Nobility has taken overt control of the U.S. Corporation. Maryland was settled by the Catholics so that the Jesuits would be close to the locus of power in America. The Jesuit’s Georgetown University is the premier law school and school for international relations in Washington, D.C. attended by many of the elites since its founding. Likewise, many Catholic charities were founded in Maryland, especially those which harbor illegal aliens, economic immigrants and war refugees. This is the year that Pelosi plans on making her BIG move, unless she is told to wait until 2020. Regardless, the Mainstream Media is already helping her every step of the way. How else do articles like this one get published except as part of a furtive strategy behind a full-blown coup d’état. See: Why is the MSM fantasizing about a Pelosi presidency? As a matter of documented fact, Pelosi has had BIG money supporting her political career every step of the way. Were a forensic accountant to take a fine tooth comb through all of her campaign finance forms, they would surely find sources of donations that were not traceable—ON PURPOSE. Similarly, were a close accounting performed of her various business investments — of which she and her husband have many — these would trace right back to well-hidden Black Nobilityinterests, shell corporations, offshore tax havens, money laundering operations, investment scams, etc. The primary cities in Northern Italy that were home to the original Black Nobility banking families were Venice and Genoa. Both of these 13th and 14th century power centers, along with Milan, Turin, Bologna and Florence saw the greatest accumulation of wealth in human history in the wake of Marco Polo’s travels to the East and the subsequent opening of trade routes such as the [ORIGINAL] Silk Road. That exorbitant wealth was accumulated after the eight major Crusade expeditions took place over the previous 200 year period which saw a tremendous amount of riches brought back from the Holy Land to Italy and elsewhere, but especially to Rome. For this is what the Crusades were really about—GRAND THEFT on a truly grand scale. The crucial point here is that the Black Nobility has been around for a long time. Their money is the ‘oldest money’ on the planet so they have had a LOT of time to concentrate both power and wealth in such a way that their peak positions have always been untouchable. In other words, since they first formed their banking houses and other corporations, their power and influence have only increased and never diminished. Ditto that for their immense wealth. Georgetown grad and Jesuit-trained Paul Pelosi has the picture perfect resume to act as a frontman for the Black Nobility. Everything points to the great likelihood that his marriage to Nancy D’Alesandro was made you know where (and not in heaven). Many who are selected to study foreign service at Georgetown University are lifelong Jesuit operatives and/or agents of the Vatican. In that capacity they are actually serving the interests of the Black Nobility, the financial arm of the Roman Catholic Church. Paul Pelosi owns “a San Francisco-based real estate and venture capital investment and consulting firm” which is right in line with his wife’s needs for a rainmaker. This is the primary reason why Pelosi was re-elected Speaker; she threatened to stop the rain from falling in the form of so many campaign contributions to the financially strapped Democrat candidates. In point of fact, this is where Nancy Pelosi’s real power and influence comes from—M O N E Y ! Remember—always FOLLOW THE MONEY, and you will see who really controls any political party or NGO, corporation or small business, family or clan. Nancy has a massive money machine behind her, although a very quiet one, with which to pull the levers of power in California as well as within the other 49 states. Not only did the last century see the Bolshevik Revolution destroy Russia and the Cultural Revolution devastate China, Cultural Marxism was likewise used to insidiously degrade and debase American society. The central pillar of Cultural Marxism is Feminism; actually, it’s fake feminism. Nancy Pelosi, Hillary Clinton, Kamala Harris, Maxine Waters, Elizabeth Warren, Dianne Feinstein, Kirsten Gillibrand and Alexandria Ocasio-Cortez represent the culmination of this form of utterly fake Feminism. You always know that, if it ends in “ism’”, it’s really a hoax and the exact opposite of what is portrayed. Well, Feminism is as fraudulent as it gets as are the primary purveyors of this transparent hoax. These so-called defenders of womanhood promote wholesale abortion (the license for a mother to kill her unborn child) while Planned Parenthood sells off fetal body parts, organs and tissues. Just how much more wicked and disingenuous can it get than that? It ought to be obvious by now that there are now so many truly wacky women in the leadership of the Democrat Party that this could have only occurred by very careful planning. And so it was. These fastidiously mind-controlled feminazis are meant to be the role models for America’s girls and young women. 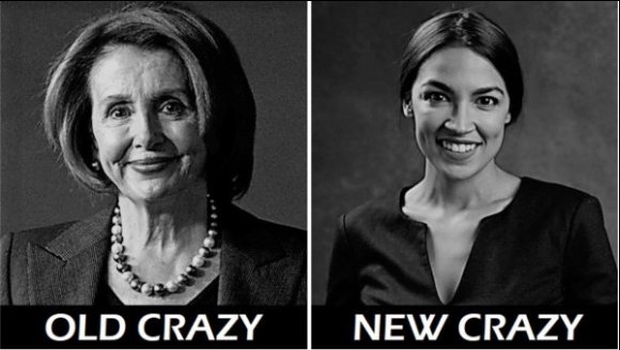 They are being taught to be like Nancy Pelosi and Alexandria Ocasio-Cortez. Pelosi in particular is a politician so devoid of integrity and lacking a moral compass it hurts to even watch her. Her politics not only represents the height of hubris, her cultural marxist persona reflects the perfect marriage of arrogance and ignorance. Just look at the depraved state of California! By every indication Nancy Pelosi is wangling her political career to assume the presidency of the United States by way of extraordinary political stealth and cunning strategy. KEY POINT: No one reading this exposé should take lightly the fact that the Speaker of the House is number two in the line of succession should the POTUS pass away, resign or be removed for any reason. Pelosi, therefore, is much closer to the throne than any freedom-loving patriot would ever want to see. Ever since Rep. Pelosi was re-elected as Speaker she has asserted herself in a manner never witnessed before by the American people. In short, her official (mis)conduct has been nothing short of mortifying. Her reactions to the President’s very reasonable demands to negotiate a quick and tidy end to the ongoing government shutdown have been shockingly juvenile and typically dismissive … while 800,000 plus government workers are still furloughed. Pelosi’s many embarrassing responses to Trump’s requests are clearly attempts to show the country, and the world, that she is ready to be POTUS. However, with each failed attempt to project strength, she instead presents the profile of a delusional sociopath hell-bent on overthrowing Trump and setting up a globalist-run tyranny. Here’s just one example of the various plots and intrigues that crop up wherever Pelosi goes these days, all of which are marked by extreme Trump derangement syndrome. By the way, why is former DNC Chair Donna Brazile tweeting about a “President Pelosi”? Everything point to an ongoing coup within a coup to overthrow Donald Trump and install, first, Nancy Pelosi as POTUS, followed by a Hillary Clinton presidency. Getting Pelosi into the Oval Office is Plan B; executing Plan C on behalf of the still-aspiring Clinton will require a herculean effort. Such a globalist scheme would also mean the final end of the American Republic. Even if such a harebrained scheme was attempted by the Democrat bolsheviks it would only serve to expose the entire Deep State apparatus that has been trying to topple Trump from day one. Hence, such a foolhardy insurrection would go a long way toward dissolving the Democrat Party forever. In light of these seditious rumblings, it’s already crystal clear that the Democrat Party mustn’t ever be allowed to control the Executive Branch again. The treasonous conduct of all of these traitors to the American Republic ought to be met with consequences so severe that future revolts would be poignantly and pre-emptively discouraged. Nonetheless, the current crop of Democrats are an incorrigible and reckless bunch of insurgents determined to suffer a terrible fate. Hence, carrying out a coup d’état will also greatly deflate the pernicious influence of the Black Nobility as it will reveal the Mafia’s criminal involvement with American government over many decades. The Nancy Pelosis of the world need to dealt with decisively. So do their countless minions who use violence and terrorism to achieve their political goals. Those in positions of power like Pelosi, who act like thugs and bullies, need to be removed post-haste. Perhaps military tribunals are the only way to eliminate them all from government service. Nancy Pelosi is like the bratty little teen who leads the girl’s clique. Because her little camarilla hates ‘class president’ Donald Trump for simply being a patriot, she thinks she can get away with making any insult or causing him any indignity. And she operates her teenage tyranny as though she enjoys complete impunity compliments of the Black Nobility. However, Nancy Pelosi fails to realize that the higher up she goes, the harder she will fall. And when she does fall, she will have no one to blame but herself while her lackeys, hitmen and political hacks mindlessly follow her over the cliff. Bottom Line: Although Nancy Pelosi is clearly the product of masterful Machiavellian* manipulation by the Black Nobility, she may not even know who is pulling her strings. For that’s the way the globalist cabal always sets up and controls their figureheads. Special Note: Pelosi was recently prevented from making a trip overseas by President Trump for very good reason. 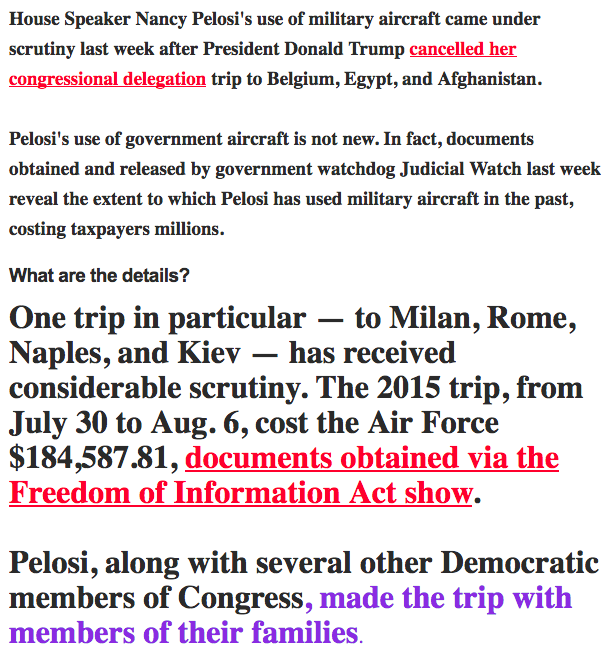 This dramatically publicized incident then opened a a can of worms regarding Pelosi’s highly suspicious pattern of taking similar junkets with her fellow Democrats to power centers around the world. For instance, the following screenshot contains radioactive information that is still being investigated by the ever-vigilant Judicial Watch. The $64,000 question here is: Why was Pelosi et al. traveling to “Milan, Rome and Naples, Italy” all in one trip in 2015? How do YOU spell Black Nobility? *In the modern age, Milan, Italy was established as the secret international banking headquarters for the Black Nobility. It was also the headquarters for Banco Ambrosiano, which was the main shareholder of the Vatican Bank before BA collapsed in 1982 as the biggest banking scandal in Italian history. The last Chairman of Banco Ambrosiano was Milan native Roberto Calvi who was widely known as “God’s Banker”. Calvi was found hanging under the Blackfriars Bridge in London on June 17, 1982 after having flown there from Venice. “Calvi was a member of Licio Gelli’s illegal masonic lodge, Propaganda Due (P2), who referred to themselves as frati neri or “black friars”. The black friars are known within intel circles for working directly with the Italian Black Nobility families. Regarding the above quote “Real power never changes hands”, it’s important to note that the current “City of London” was founded by the Romans in 47 AD and known as Londinium. As a matter of historical fact, the incorporated Financial District of today’s London is located exactly where the original Roman settlements were as they have experienced one incarnation after another over the past 2000 years (see map below).